Better Hiring Decisions Happen Here. If They Don’t Belong Behind the Wheel, Do They Belong in Your Workforce? So, You Think Background Checks Are Protecting Your Company? What Exactly Is “Ban the Box” Anyway? Would More Jobs for Ex-Offenders Reduce Recidivism? What Does Dismissal of the Lyft Class Action Suit Mean for You? Lying on a Resume: What’s the Truth About Your Candidate? Are Credit Checks On the Way Out of the Hiring Process? Employment Background Checks and Recidivism: Is there a connection? Do the People Running Your Background Screening Program Know Enough? What’s a High School Diploma Worth, Anyway? Background Screening or Finger Crossing: Which Should You Rely On? Does the Use of Employment Criminal Records Actually Reduce Discriminatory Hiring? Can Your Employment Screening Program Survive a Hiring Frenzy? 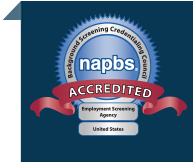 Need Help Evaluating and Selecting a Background Screening Company? Target Corporation Bans the Box. Should Your Organization? What Happens When an Employee Commits Another Crime? Has the Santa Claus in Your Town Been Naughty or Nice? Trust, but Verify. Even in the C-Suite. Where Do You Stand on Employment Background Checks? Employee Background Checks: Now more than ever. Do your policies support fair employment for workers with criminal records? Is Now the Time to Upgrade Your Workforce with Employment Background Checks? What Has Become of Employment Reference Checks? The Background Credit Check Under Fire: Fair or Not? Background Checks for School Volunteers: Necessary or Not? 80% of U.S. Corporations Rely on Employment Background Screening. Do you know why? Would Simon Cowell Show’s Background Check Decision Hold Up in Court? Do Employment Background Checks Take More Effort Than They’re Worth? “Unemployed Workers Need Not Apply.” Where’s the Logic in That Talent Acquisition Strategy? Background Checks or Checking the Box: What’s Really Going On? Would You Hire Someone without Looking Under the Hood? D.C. Parks and Rec. Fails to Perform Background Checks? Employment Background Checks without Permission? Tisk-Tisk. What Does the Supreme Court ruling in NASA v Nelson Say About Employment Background Checks?